Last week, I came across this book A Halloween Scare in Indiana by Eric James at Barnes & Noble. I was looking at books for my upcoming vacation and I always check out the children’s section too. 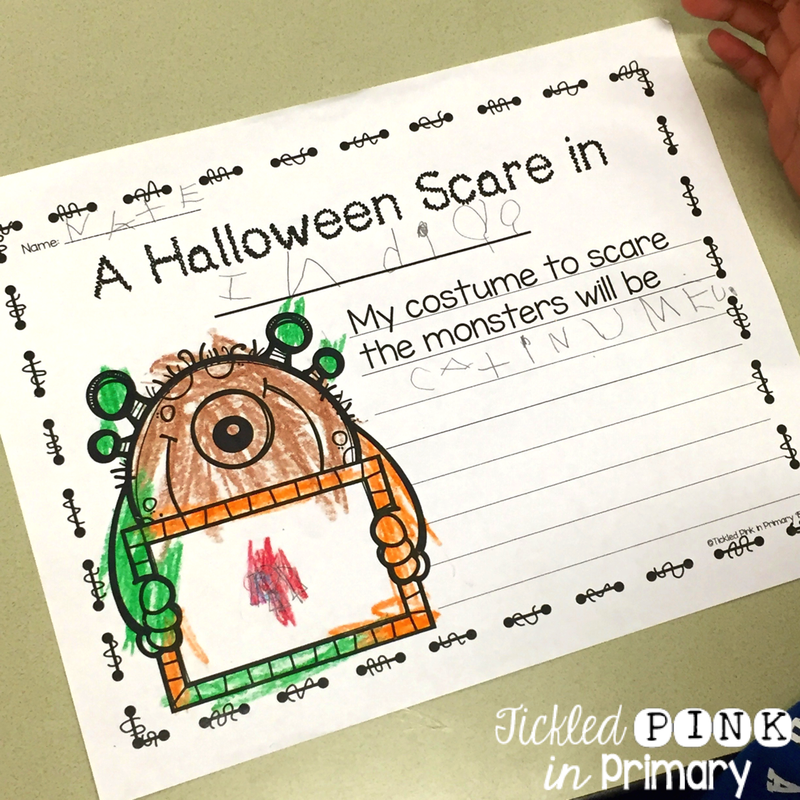 I knew my Kindergarten friends would enjoy this Halloween book! I made up a quick writing activity to go with it too! This post includes some affiliate links to help you find this book easily. I visited 2 Kindergarten classrooms earlier this week to read this Halloween book and do the writing activity with them. They LOVED seeing all of the Indiana connections and you could see their eyes get big when I mentioned a city name or place they recognized! I gave them time after the book to “turn & talk” to tell each other what they saw in the book from Indiana. What an easy way to teach text to world and text to self connections! This book has a ton of rhyming words and good vocabulary to teach too!! I did find this Halloween book on Amazon too! There are MANY versions of this Halloween Book for many different states and countries. It was a lot of fun reading a book with personal connections for the students. 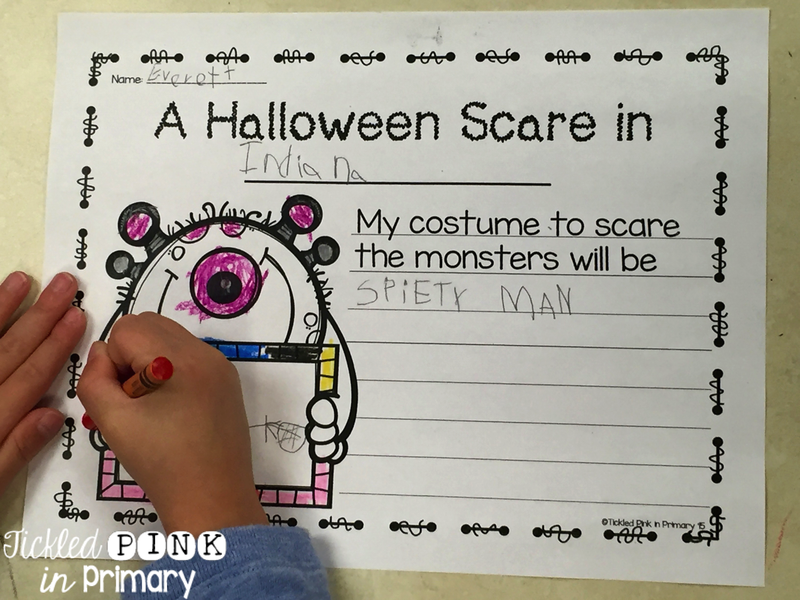 I had the students write and illustrate their Halloween costume that would scare the monsters away. If they don’t dress up for Halloween, then they just came up with a costume they think would scare the monsters. Here’s what some of them came up with. It was fun walking around and watching them write independently and I love seeing if I can read their words without them telling me. 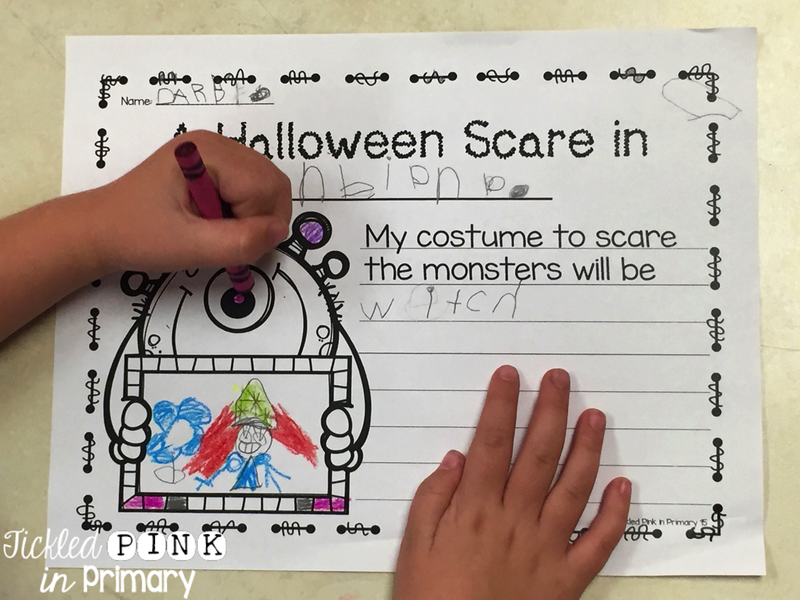 Get these 2 worksheets for FREE here! 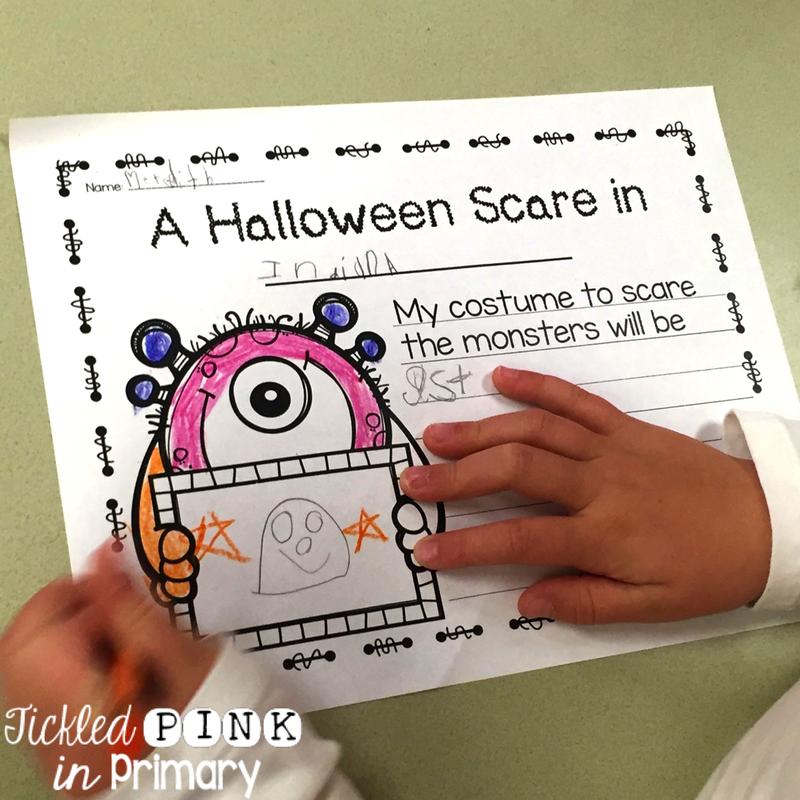 Check out my post about more Halloween Activities and get more FREEBIES!